Why isn't price one of them? Because maintenance and replacement costs ultimately determine the real price of your new wood floor. Wearlayer is what you see, it's the pretty, it's the wood you wanted in your space. 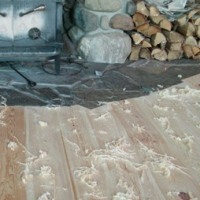 When wearlayer is gone and nails appear, (or glue, or substrate,) you need a new floor. And you paid how much for that disposable wood floor? Every wood floor eventually needs sanding. Even the best wood flooring. Yes, even the best pre-finished floors. For centuries, traditional milling of un-finished tongue and groove flooring left a 6 mm thickness of wood above the joinery. After initial sanding, 5 mm remained for future re-sandings to renew its appearance when needed. That isn't possible, not even once, if flooring comes from the mill with a 2mm or 3mm wearlayer. This is a standardized measure of dent resistance. You figure out how many pounds of pressure it takes to press a 7/16" ball bearing halfway into anything and you have yourself a Janka rating, basically. The numbers are not absolute. They are averages and intended to be comparative. 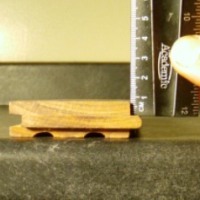 Hardwoods are not necessarily "hard" woods. Birch and American Cherry and Walnut are hardwoods, but with Janka ratings of 1000 or so, they dent quite easily. A big playful dog's claws, for example, damage these woods with one happy chase of the tennis ball. Oak and Maple? Same thing, same tennis ball. Oak and Maple measure right around 1300 to 1500 on the Janka scale. Ideally, big playful dogs really need 3000 plus Janka ratings, but that doesn't have to eliminate softer hardwoods if that's your budget or design. Dialing down the Janka rating simply means dialing up the footcare. Just to re-iterate. I'm not saying that a low Janka rating is bad, or that you can't get good flooring from soft wood. I am saying consider your lifestyle and the demands you and yours make on a floor. 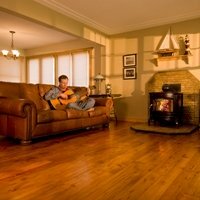 The best wood flooring for you may not be for someone else. 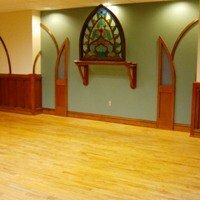 In fact, the best wood flooring for you may not be in the Creator's inventory. Only you can own that decision. This is a moving target. It's relative, but something as close to 6% as possible. Why 6%? Well, that number isn't arbitrary. Wood is dynamic, it moves, it responds, especially to moisture. It leaves the flooring mill kiln-dried at 5% to 6% and is generally considered stable when it remains in a range of 3 percentage points of its baseline. The prevailing moisture content of your home's existing wood materials will be your floor's moisture content in a year. So, if 10% is what prevails at your home, buying 5% wood flooring for immediate installation is asking too much of that wood. Plan on acclimating that new flooring for a season, or find new flooring with a higher moisture content. 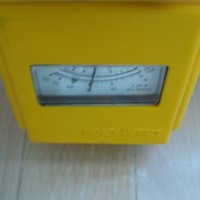 If your flooring store doesn't own a moisture meter or makes you feel odd for asking, then find another flooring store. Good suppliers have a loaners or meters to rent and is money well-spent. Now, if you are a LEED specifier, or simply interested in being eco-friendly, you source your products from within 500 miles of your jobsite or project. We used to call this buying local. For you, this may me the fourth number in your own equation. 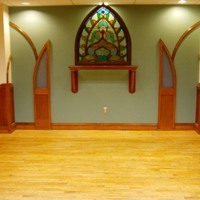 And one more consideration along these lines is whether or not the flooring can be re-used. 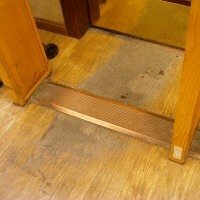 I don't have a number for this, but glue in the seams or between the floor and subfloor requires disposal of even the best wood flooring when raised, for whatever reason, be it crisis or creative license.